The International Interior Design Association counts some of the most creative minds among its members. 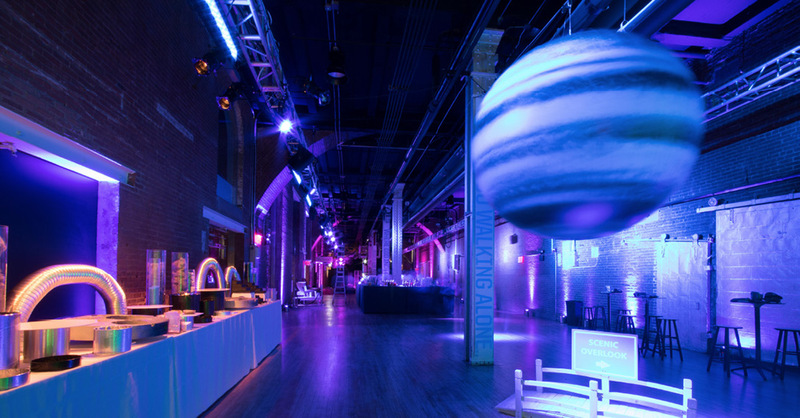 For their annual Color Invasion party, benefiting IIDA New York student architects and design award programs—they asked us to bring their theme to life. We worked in tandem with the team at IIDA to transform the venue, The Waterfront, a converted train platform and distribution center in West Chelsea. Guests entered the space, passing through a three-dimensional installation achieved through the use of fog and video projections, and were immediately immersed into the experience. 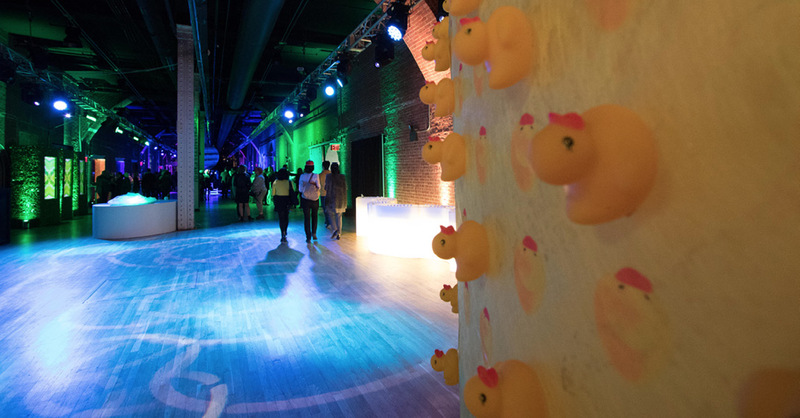 The remainder of the event space featured a play between digital and tactile scenic elements, from moving graphics with video signage to areas focused on individual colors and oversized design installations. 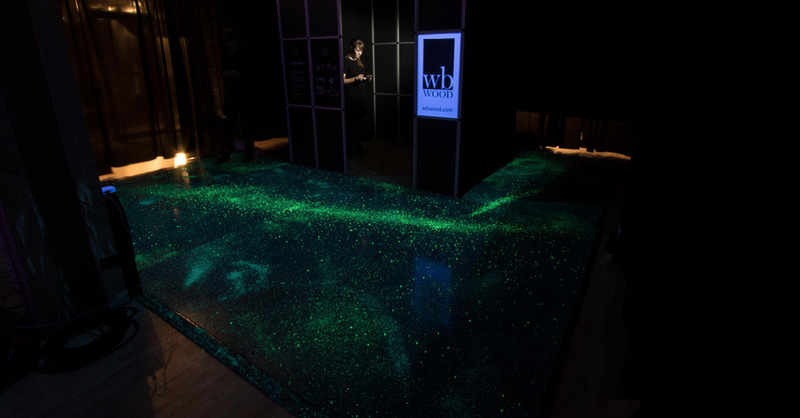 At the far end of the space, a lounge was illuminated in black light to activate the glowing, custom-made floor representing the universe. 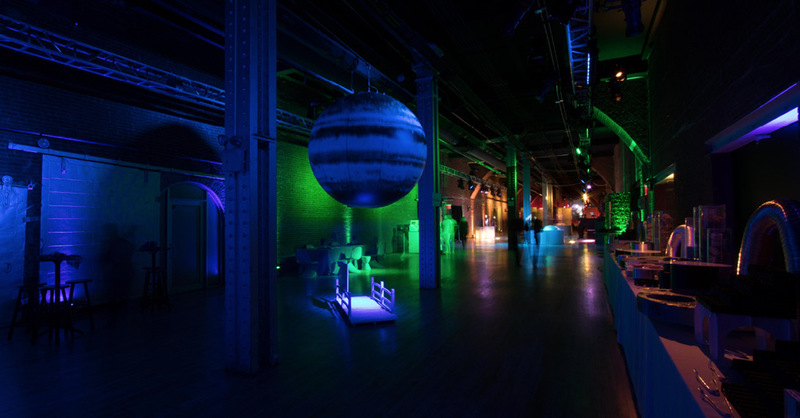 Lighting and audio also played a large role in the event concept to support the evolution of the evening.